February is all about your heart and not only because it is the host month of Valentine’s Day. February is American Heart Month, a declaration that was made by President Lyndon B. Johnson in 1964 and one which serves as a perfect opportunity to check in on your heart’s health. 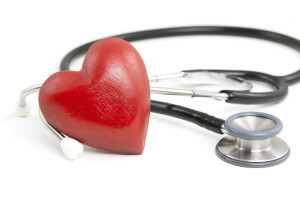 Taking care of your heart means adopting practices that promote cardiovascular health as well as wellness. These new heart-healthy habits are probably ones you do or used to do, but with the renewed sense of motivation that February and a new year can bring, maybe some of them will earn their spot back at the top of your priority list! Your body, and therefore your heart, will thank you abundantly for nourishing it with the vitamins, minerals and nutrients it so desperately wants and needs. A diet high in a variety of plant-based foods that includes vegetables, fruits, nuts, seeds and whole grains, as well as the healthy fats from these sources has been shown to reduce the risk of cardiovascular disease and promote heart health. 1 For a greater effect, slowly start to remove the foods that aren’t providing your body with positive and clean energy (e.g. many processed, packaged foods and greasy foods) so that your body can start to thrive. Jenkins TA, Nguyen JC, Polglaze KE, Bertrand PP. Influence of tryptophan and serotonin on mood and cognition with a possible role of the Gut-Brain Axis. Nutrients. 2016; 8(1): 1-15. doi:10.3390/nu8010056. Steptoe A, Kivimäki M. Stress and cardiovascular disease: an update on current knowledge. Annu Rev Public Health. 2013; 34: 337-54. doi: 10.1146/annurev-publhealth-031912-114452. Dong J, Lau CW, Wong SL, Huang Y. Cardiovascular benefits of vitamin D. Sheng Li Xue Bao. 2014; 66(1): 30-6. doi: 10.13294/j.aps.2014.0005. Shiroma EJ, Lee IM. Physical activity and cardiovascular health: lessons learned from epidemiological studies across age, gender, and race/ethnicity. Circulation. 2010; 122(7): 743-52. doi: 10.1161/CIRCULATIONAHA.109.914721. Zawadzki MJ, Smyth JM, Costigan HJ. Real-Time associations between engaging in leisure and daily health and well-being. Ann Behav Med. 2015; 49(4): 605-15. doi: 10.1007/s12160-015-9694-3.